Answer questions about sales and marketing in ways you never imagined! Data, data, data! It’s in abundance for sure. 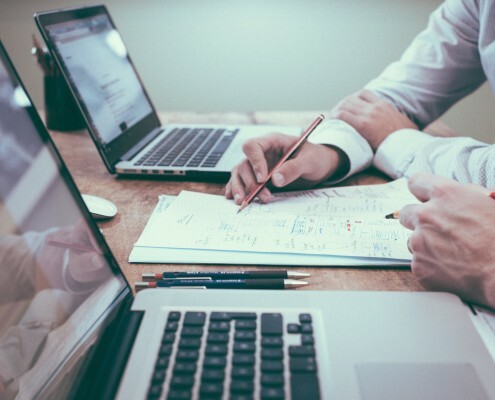 Lead Liaison kicks some tail when it comes to collecting data on prospects, customers, and partners who engage with your company’s sales and marketing efforts. Mix in demographics and social insight and you’ve got a data buffet. But how do you make sense of it all? Without the right platform to deliver useful insight, it’s impossible. That’s why we created Revelation™, an analytics platform built on the industry’s best business intelligence engine, to deliver rich visual insights that answers those burning questions. 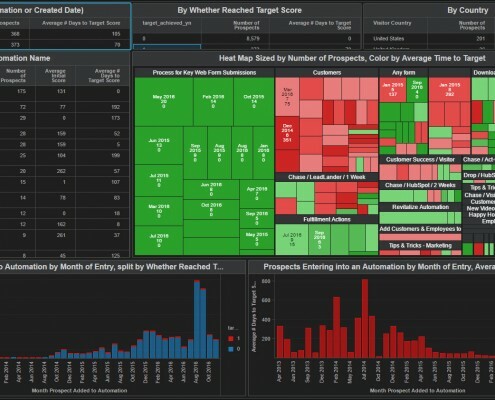 See your data in beautifully rendered dashboards that provide rich visual insights. Heat maps, bar charts, geographical maps – it’s all there and all possible. Instead of staring at tables of data and digging for answers, use visually compelling dashboards to present data in new ways. Great for people in all roles, including executives and marketers! With our solution, we’re opening up our ears even more than ever. If you have a report that would benefit the general client base, we want to know about it. Have questions about your business, prospects, customers, etc.? Great, we want to know! Share your requirements with us and we’ll do our best to create a pre-made report for you. Simple bar charts, pie graphs, and other rudimentary reports only go so far. With drill down, you’re a right-click away from digging into your data and applying more analysis as you dig deeper into results. Build reports or do drill-downs and save your custom reports in a folder. Then, schedule the report to be emailed to you on a periodic basis using our scheduling system. If you are an expert with data and want to build your own reports and analysis, then we can grant you access to “Expert Mode”. 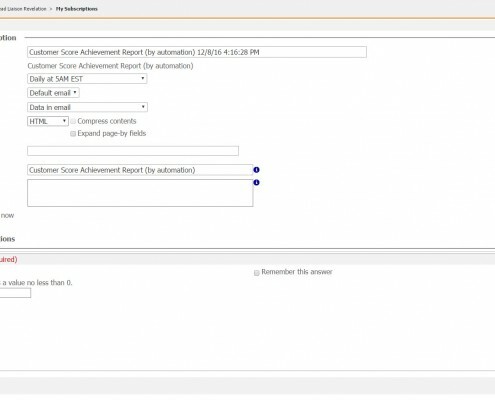 You can create your own reports from scratch, use one of the standard reports as a template, upload and include your own data and even run advanced statistical analysis. With “Expert Mode” the sky really is the limit.